Yochi Brandes is one of the top authors in Israel. 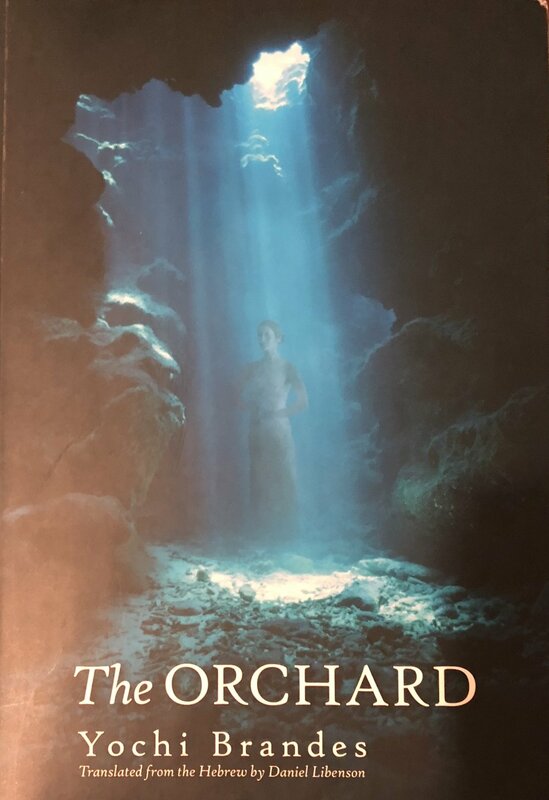 The Orchard, Yochi Brandes's eighth book, is considered the most daring and ambitious of her novels. Critics went so far as to call it a cultural phenomenon after it eclipsed the Fifty Shades of Grey trilogy on the Israeli bestseller lists. The novel depicts the beginnings of modern Judaism and Christianity (in the first and second centuries) and the historical circumstances and tumultuous disputes that accompanied their births. The heroes of that generation (such as Rabbi Eliezer, Rabbi Ishmael, Rabban Gamaliel, Paul of Tarsus, and many others) become flesh and blood in this stunning interweaving of biblical and Talmudic lore into a page-turning read. At the heart of the book is Rabbi Akiva and his complicated relationship with his wife, Rachel, who met him when he was a forty-year-old illiterate shepherd, married him against her father's wishes, and compelled him to study the Torah until he became the nation of Israel's greatest sage. His novel method of interpreting Scripture provides his people with a life-giving elixir, but also gives them a lethal injection the Bar Kokhba Revolt (the second rebellion against the Romans), which brought a terrible holocaust upon the nation of Israel that nearly caused its end. The Orchard offers a brilliant narrative solution to the riddle of the Bar Kokhba Revolt by tying the rebellion to one of the most fascinating stories in the Jewish tradition, the story of four sages who entered a metaphysical orchard: one died, one lost his mind, one became a hater of God, and one, Rabbi Akiva, made it out unscathed. Or did he?